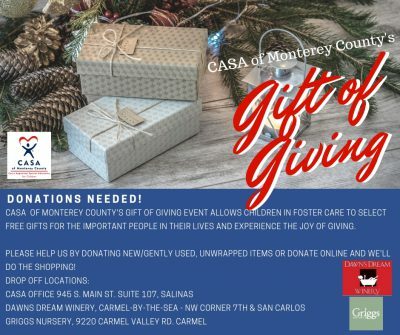 It’s that time of year again, we are preparing our Gift of Giving event for local foster children. Please see our EVENTS page for more details. 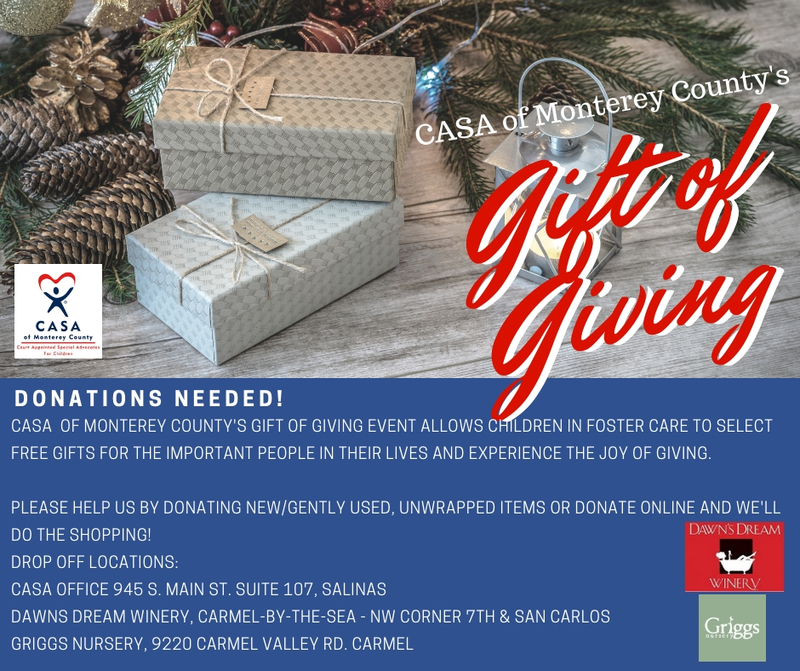 Also, we are in need of more volunteers to help host the Gift of Giving store, so please let us know if you might have a few hours to help out. Anyone over the age of 21 is welcome to volunteer, and you don’t need to be a CASA to help out at this fun event. Please call our office to learn more- 831-455-6800.